Nestled just outside of the village of Albrighton The Old Rectory Care Home is a magnificent eighteenth century building in an idylic setting. With 30 newly reburbished rooms, comfortable communal spaces for all to enjoy and extensive landscaped grounds overlooking natural scenery The Old Rectory is a perfect environment for those seeking residential care. Please feel free to contact us if you have any queries, we are always pleased to assist. 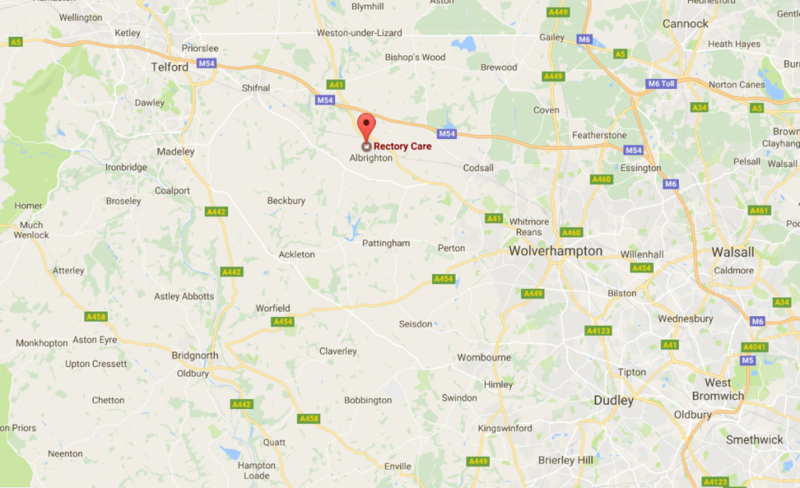 Managing Directors Rectory Care Ltd. 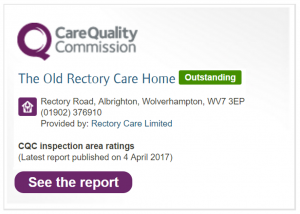 The Old Rectory Care Home is located just outside the town of Albrighton. It has transport links with Telford, Shrewsbury and Wolverhampton. Take the A41 towards Cosford and continue on the Albrighton By-Pass until turning right onto Rectory Road. Continue on Rectory Road until reaching the sign for The Old Rectory Care Home. Take the A41 (Wergs Road) and continue onto Newport Road and then the Albrighton By-Pass. Turn left onto Rectory Road. Continue on Rectory Road until reaching the sign for The Old Rectory Care Home.